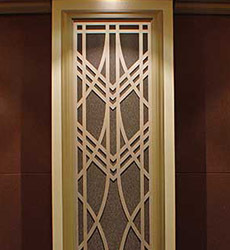 One-of-a-kind, sculpted or laser-cut grilles designed for theater columns that conceal speakers. They come in two sizes, 72" x 13 ½" and 66" x 13 ½" to accommodate various room heights. Available in antique bronze and other custom finishes. 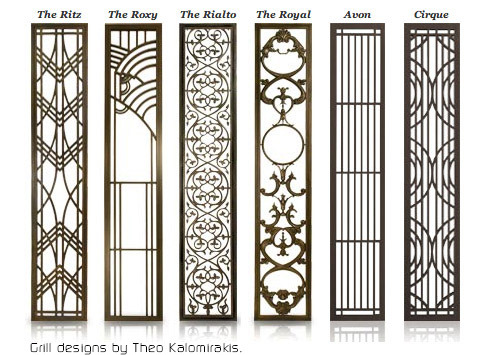 All grilles include instructions on how to construct the columns that will contain them.